Giorgio Bronco (Città della Pieve, 1963) lives and works in Città della Pieve. Alongside his interest in the manual arts, he has always been attracted by a variety of diverse materials, developing an indepth knowledge of the less pliable metals such as iron, copper, stone etc. 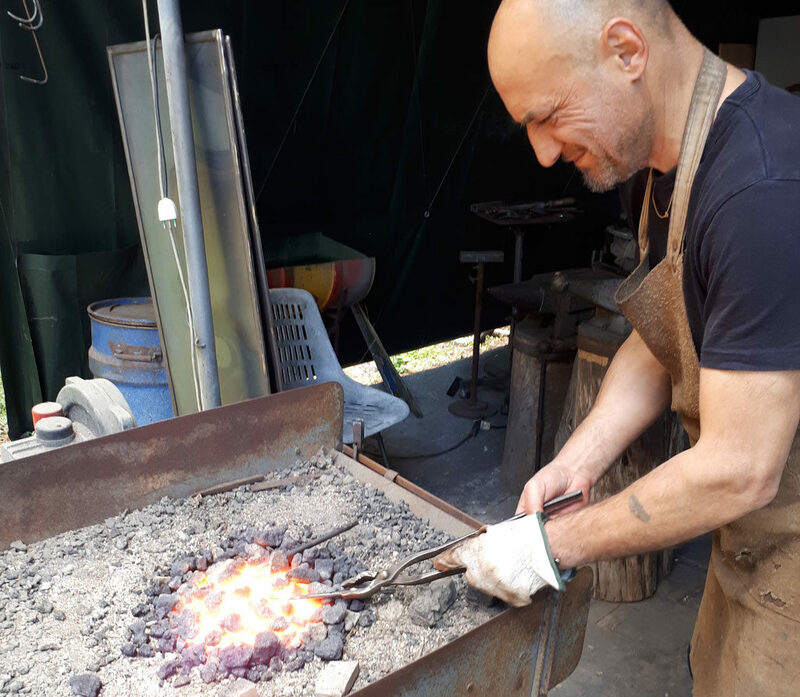 Driven by his passion and curiosity, Giorgio has attended many workshops and developed skills as a carpenter, ceramist, metalsmith and restorer. He lived in Berlin for two years enhancing his interest in metalwork and, upon his return to Italy, attended the workshop of the artist Paolo Massei. Today he is an expert blacksmith and a fine artist. His sculptures are renowned for being graceful, and displaying high quality workmanship.